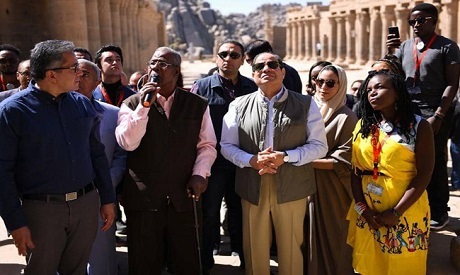 President Abdel-Fattah El-Sisi toured Philae Temple in Upper Egypt’s Aswan on Monday. 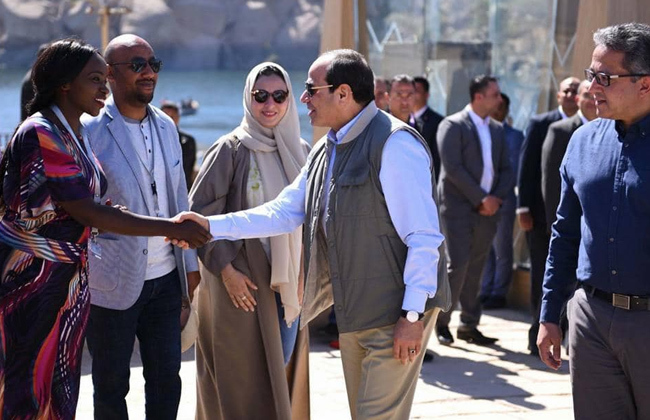 The President’s visit came during the third and final day of the Arab-African Youth Platform which took place in the city of Aswan. President El-Sisi was accompanied by a number of Arab and African youth. 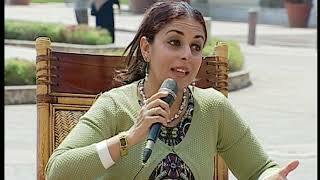 The President was also accompanied by Tourism Minister Rania Al-Mashat and Antiquities Minister Khaled El-Enany. 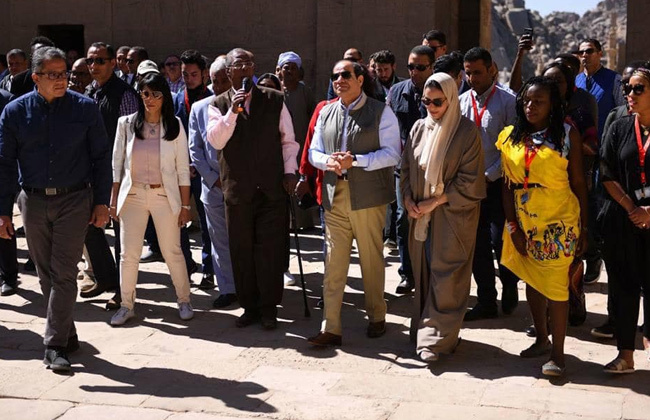 Earlier on the day, the President had breakfast with a number of Arab and African Youth at Philae Temple. President El-Sisi called on youth to ask any question as part of his commitment to learn more about Arab and African Young people ideas، and issues. Moreover, the head of the state held an interactive dialogue with Arab and African youth. El-Sisi listened to innovative ideas on the prospects of enhancing Arab-African integration under Egypt’s presidency of the African Union and ways of transferring the Egyptian experience in empowering young people to Arab and African brothers. Later, President El-Sisi inspected Bernese civil airport and the strategic air-naval base in the southern military zone.